One of the MOST important aspects of being a great teacher is having good classroom management. Why? Because if you have good classroom management, your kiddos respect you and listen to you and they are eager to work hard for you and please you then you can do what you are there to do....TEACH. My first year of teaching (12 years ago) I had 9 kids. Yep. You heard me right.....9! I had 8 boys and 1 sweet little girl. These kids were good. Like perfect. For real. Who needs classroom management when you only have 9 kids in your class? Apparently I didn't. Fast forward to the next year. 19 kids. WILD kids. Ruh. Roh. I remember my principal coming in and saying "You have got to get a hold of these kids." Ya think? Whew! I began using the "Strikes and Red Card" system. I didn't know any better. It worked. For 10 years. Last year, I was inspired by all of these wonderful bloggers to try the clipchart system. I'll be honest. I was skeptical. I liked the idea of kiddos who always did well moving up, but I doubted that kids who made mistakes would CHANGE THEIR BEHAVIOR to good and move up. Well, they did! I SWEAR! Brilliant! 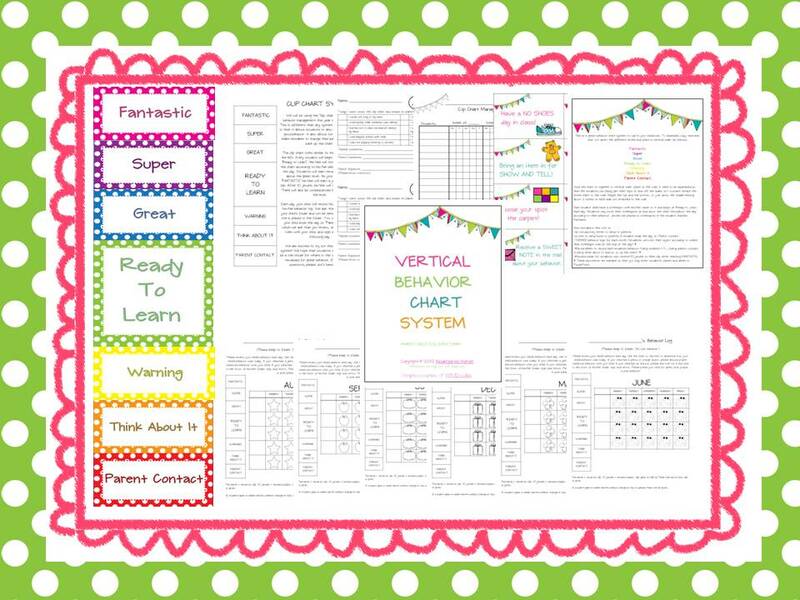 Last year I created and implemented my Vertical Behavior Chart system. Worked like a gem. Best thing I have EVER done! This year I made a Chevron themed one and I have JUST added it to my store. I added a place for parent initials at the end of the week. I know. You are SHOCKED that some parents never looked at their kiddos folders all week to see how they had been doing, but they didn't. Therefore, I added a parent initial line and now they don't have a choice hopefully they will follow through and initial. 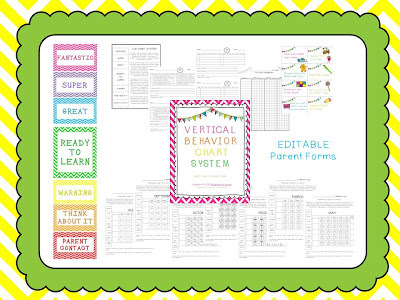 You can see the behavior chart in use here and read more about my experiences with it! I am going to try and implement more of a reward for students who go above each day. I'm considering a ticket system! I'll keep ya updated! 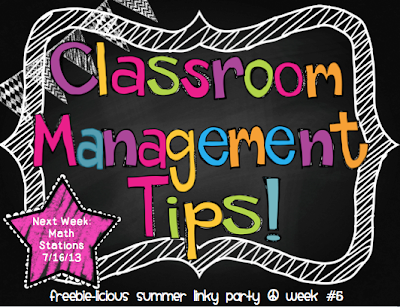 If you want more great classroom management tips, just click below! 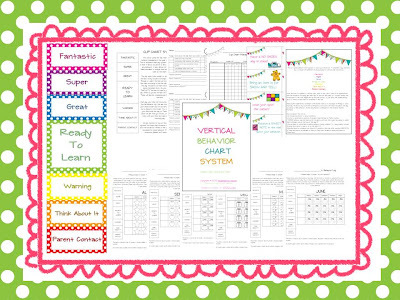 Last year was my first year using the vertical behavioral system and I LOVE it, too! I like you blog. I enjoy using the vertical behavior chart. Children do not like losing things. These are amazing ideas for kindergarden students! I really love the idea of a behavior chart. That would make the kids more conscious of their own behavior when they can see it on the wall too.